Despite uncooperating weather these last few weeks, the footers have been poured for the new bus barn. 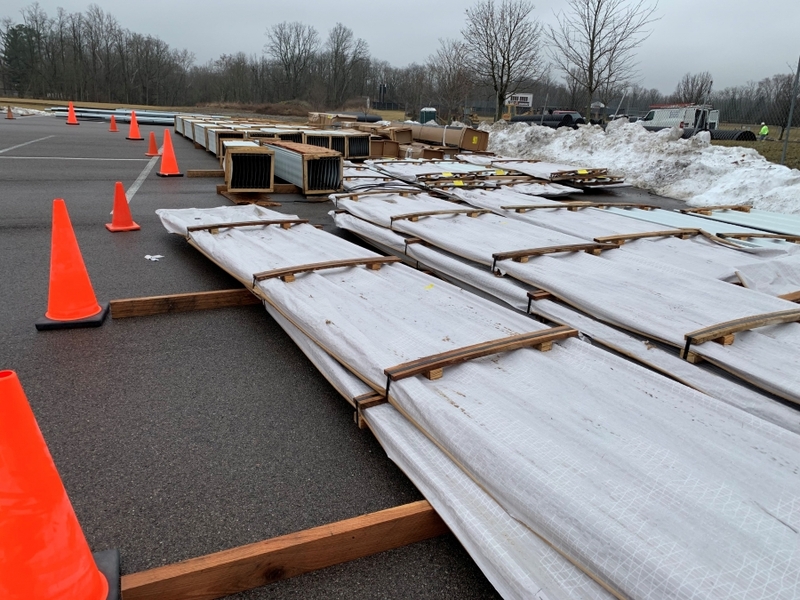 The constuction materials have also been delivered and are currently lining the back parking lot right next to the construction site. You'll also notice that orange cones are marking off the areas where the materials are being stored.